Who was on the team? SCC members partnering with Global Eyeglass Ministry (globaleyeglassministry.org), and some from Alderwood church and others who came with Medical Relief International (medicalreliefinternational.org). Partner ministry in the Philippines that we served? Global Surge, Int. SCC supports two Global Surge missionary couples. Global Surge is all about discipleship, urban church planting, and so much more. Purpose of the trip? Evangelism. The Gospel. We provided eyeglass and dental clinics that Filipino Global Surge Pastors used as tools for outreach/evangelism by their churches. The clinics also bless the local communities and cultivate good relations with local authorities. How does it work? The local Pastor and church members arrange a location for the clinic, often an outdoor covered basketball court or school. We even did one under a bridge in a poor area this year! The church members invite the community to the free clinic where they share the gospel with every person. Then, each person is provided service at either the dental or the eyeglass clinic. (Note: Serving them is NOT conditioned on whether or not they accept Christ.) After the clinic, the local pastor follows up with everyone who came to the clinic to connect them to the church or have further discussions about the gospel. So what happened? We did six clinics in and around the greater Manila area. On average the Eyeglass Clinic saw ~120 patients each day and Dental on average saw ~75 each day. We had to set limits toward the end of each day as there were always more people to be seen than time available. Overall, for the six clinics for the six churches, we saw 1,152 patients. Dental Clinic saw 415 patients (mainly extractions of badly decayed teeth, typically three or more per patient). That team relieved a lot of pain! Vision Clinic saw 743 patients. We matched 309 prescription glasses, and 486 reading glasses, all helping people to see so much better. Many could hardly see at all before! Some cried with happiness - what joy to see them so happy. But here’s the best news. 708 of the 1152 indicated a salvation decision! Praise the Lord with us for this, and pray that they will be joined to those local churches as the Pastors follow up. We also visited another Global Surge ministry called Kids Jam. This takes kids ministry right to the streets. It aims for ages 4 to 14 with high energy music, Bible story, and treats, all presented with love and the gospel. We attended worship at Floodway church the first Sunday (Pastor Gordon preached). The next Sunday we worshipped at Pasig City church (the original Global Surge church). Thanks for all your prayers! We were blown away seeing God work - He changed our hearts in so many ways. What an incredible trip! What an amazing team of people to travel with! We felt like students of history, culture, and brokenness. We experienced first hand the hope we as believers can offer to others! The bulk of our time was spent in a rural area helping a pastor whose main priority was to offer people clean water, preschool education, orphan feeding, a community garden and above all, the message of Christ! We helped him hang gutters, set up three water basins, and dig over a 100 feet of trench; all with the hope of helping maintain a lush and fruitful garden. In addition we loved on a ton of orphan kids whose love and touch were so tender. AND sooo cool... the ladies on our team lead a discussion on purity for the teen gals in the community, which turned out to be a huge success! The devastation was incredible. Even now it’s hard to fathom how much people lost in Hurricane Harvey. Almost 50 inches of rain. Flooding like they’d never had before. SCC sent two teams on separate weeks to help. We went thru Samaritan’s Purse, a great Christian disaster response ministry. We went down also because two former pastors from SCC (Wayne Smith and Nathan Hansen) are now pastoring Bethel Church of Houston. Bethel also became a host site for housing Samaritan’s Purse volunteers. So our teams stayed at Bethel where they fed and housed us for our stays. After orientation, our job was to “mud out” houses. Some had been closed up and were full of mold. Some Team 1 folks had to put on the Tyvek suits for protection in addition to masks and eye protection. Working with other volunteers from other parts of the USA, we stripped the inside of the houses down to the studs, sometimes all the way to the ceiling, removing wall board, insulation, rotten fixtures, nails and screws, flooring. Then we scrubbed it down with a mold killer. Removing big mirrors was tricky as they often shatter. Wet, heavy carpet, furniture, etc, all had to be hauled to the curb. Our greatest joy was to meet and love the home owners. Their stories were amazing and it was so important for us to listen to them. We all signed a Bible for each home owner, and presented it to them, with a prayer circle around them. All received it gratefully. Many with tears. One home owner accepted Christ. These were great trips, and we were grateful for the opportunity to serve this way. 1. Dental outreach clinics: Partnering again with Medical Relief International, theybrought 4 dentists and a couple of support team. We supplemented with dental assistants as well. Our team provided additional support personnel. We did five clinics. The dental team saw 364 patients. 2. Eyeglass/vision clinics: This was the first time we had partnered with Global Eyeglass Ministry. GEM leaders (Tim and Mary Shay) trained our team members in eye refraction using a professional autorefractor, and eyeglass matching. We brought over 2,000 sets of coded used eyeglasses with us and matched 90% of our patients with prescription eyewear (208 pairs). Not to mention the 268 pairs of readers we matched to our patients as well. We saw 429 patients in the five eyeglass clinics. Best of all, we got to see 447 people trusted Christ thru the clinics, because everyone has the gospel shared with them. Global Surge pastors are following them up. 3. 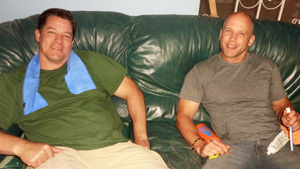 Drug recovery support: Global Surge works with local law enforcement to help recovering addicts turn themselves and their drugs in, and turn to Christ. It’s amazing. One of our team is a drug clinic Nurse, and she was able to give a great talk to some of the clients. Global Surge’s relationship with local law enforcement officials is unique and so impactful. Best of all, of the Global Surge is a great partner. They also run feeding center, Kids Jam street ministry, Tough Guys outreach, and Youth Camp (over 100,000 kids come to their camps each year), and many more. Join us on an upcoming trip! You’ll never be the same. 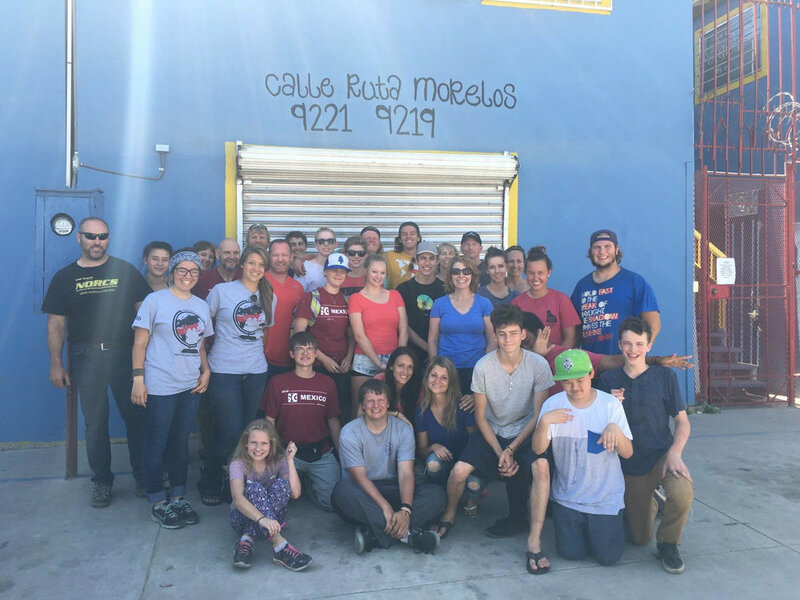 A quick jet flight from Seattle to San Diego then by van through Tijuana and there, not far from the US/Mexico border, in an eastern suburb called El Florido, our team of 24 partnered with MCM (Mexico Caravan Ministries) to build houses for one week for families caught in deep poverty. But that’s not the whole story by a long shot. 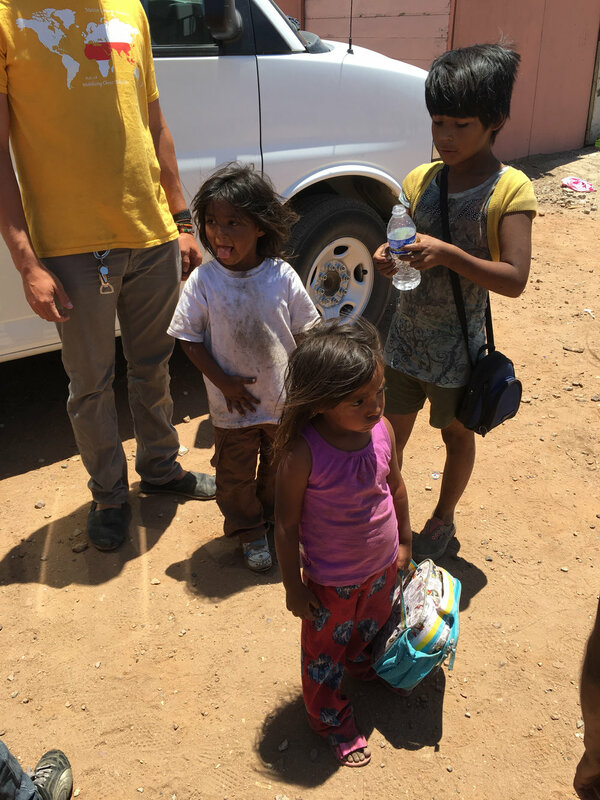 What was truly in store, was a much deeper, heart-impacting, experience, involving visits to orphanage, a shanty town at the landfill and visits to some of the poorer quarters of this area of the Mexico. Prior to each workday the team gathered in the MCM dorm’s Worship Center, where we learned about God’s love for the world and His unfulfilled plan to share that Love, and Good News, to the ends of the earth. Missionary speakers from Columbia, Papua New Guinea, India – were rich and inspiring and added to Eddie Passmore, Mission Leader/teacher’s, daily Scripture reading and discussions about missions around the world. Incredible videos and first hand stories from large cities and remote island jungles, punctuated the conversations. We prayed for people groups and learned how to listen better to God’s voice in our daily lives. As we learned in our conversations during the week, we Americans spend more on Halloween costumes – for our pets – than in supporting missionaries to reach those people groups that have not heard the name of Jesus. 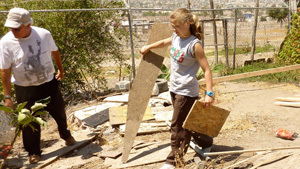 During each day’s building, we spent time with the families we were building with. They provided a meal that may well have cost them a week’s wages to provide the team. We will long remember the families who were so grateful to get a Bible at the end of each build day. The kids we met and played with at the orphanage will be part of our prayers. The week was full of bonding with our “build teams”, meeting and being with the precious Mexican people. Yes, we built houses, and the people will be followed up by local pastors and invited to church. And beyond all that, we have come back home as different people. God not only did work thru us, He did work in us. Come join us next time! The team worked exclusively on the new seminary building. We worked on two projects: building aluminum window frames and installing metal roof panels along the back length of the buildings over the veranda. The window frame project was the principle work. The window frames are built from scratch to fit the unique window openings which are formed in the concrete and brick walls. Each opening is different and varies in irregularity. There are two types of frames: singles and doubles. Singles consist of one fixed frame and one slider. Doubles consist of two of each. The frames have exterior frames and interior frames. The interior frames hold the glass. There are six different types of aluminum extrusion. Each must be custom cut on a chop saw. Notches are cut, rough edges filed, holes located and then assembled with sheet rock screws. We dry fitted the frames into the openings. Jeff then anchored the outer frames to the openings and caulked them in. He then removed the inner frames, partially disassembled each and installed the glass. We built a total of about 35 window frames. We took one afternoon off for lunch in the city and a little souvenir shopping. Sunday morning was worship at the second church plant. The first church plant now has a Mexican pastor. On one day, we quit work a bit early and went into a part of town with a long park where we met some people from church. We paired up with them and walked to park to hand out tracts and try to engage people in conversation. Jeff made one good contact which seemed like it would bear fruit. The man was very interested and wanted to know when, where and how he could learn more. Our team was small enough to stay in the Walker home. We had a good time of fellowship every evening. The family was just Jeff, Sheny and Julie. This was a good time of year to go. The weather was mid 80’s, but humidity was low and it was mostly overcast. Since we worked inside the building and it was open, the working temperatures were quite comfortable. When finished, the seminary will be used to train Mexican pastors, teachers and missionaries. There will be residence suites, classrooms and a large meeting room. The seminary is adjacent to the camp facilities. The Walkers will be eager to host more teams in the near future as there is still much work to be done to complete the seminary. The work remaining consists of much tile work, interior doors, plumbing fixtures, electrical finish work, cabinets, and painting. “Amazing” seems to be the word on this trip. We had our eyes opened, our comfort zone’s stretched, and our hearts expanded for God’s plan for the world. Manila is a mix of poverty and wealth. The spiritual climate is mainly catholic, but the understanding of the gospel of grace is very low. Very few people understand the Good News of Jesus. Purpose: This team went to learn about Global Surge International and to serve the ministry in Manila and outlying areas. Global Surge is all about discipleship, leadership development and church planting. They’ll turn anything into a creative outreach! 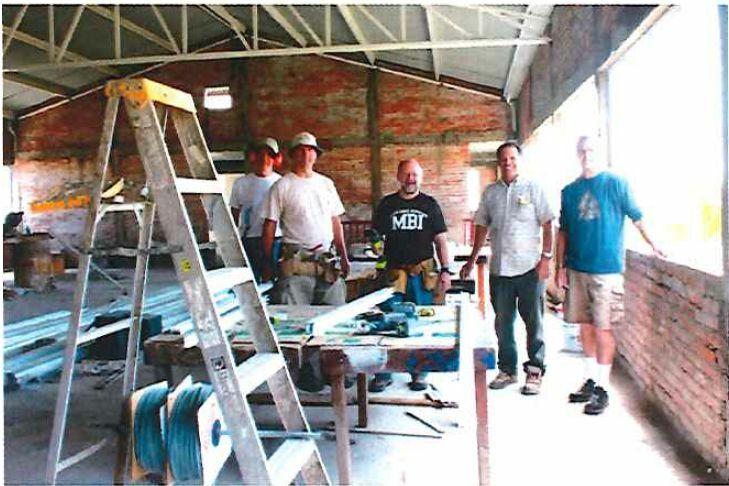 Our team of 11 were focused on 4 areas of ministry: 1) Dental outreach support (in partnership with Medical Relief International professionals and Global Surge), 2) Law Enforcement Professionals outreach, 3) Sports Coach training outreach, and 4) Church support through construction. 1) Dental outreach support: A local Filipino Pastor with Global Surge pre-arranges an outreach at their church via offer of free dental care in their community and set up the appointments. The local church’s own members welcomed, and share the gospel with all appointments, and then the Dentists and support staff care for their dental needs. Lots of extractions, some fillings, cleanings and new appliances made. Our team assisted (all of us got to go on at least one or more clinic outreaches) and some even learned to do extractions under the careful guidance of the Dentists. Our team did 6 clinics in 5 locations, saw 296 patients and 208 people indicated a salvation decision. Phenomenal! They will be followed up by the local church. 2) Law Enforcement team: United States Law enforcement personnel are highly regarded in the Philippines. Global Surge staff and local Global Surge pastors arranged these seminars in their cities. Our team of 3 professionals were able to conduct Officer training in some defense tactics, incident command, first aid, and professional ethics. They did 4 seminars in 3 location (2 cities and the National Police Headquarters). The team also brought over gifts that had been donated by Snohomish County Sheriffs dept, (bullet proof vests and some bomb suits). They loved the training and want the team to come back. Most amazing was the spiritual response. At each seminar, the Filipino Pastor presented the gospel and invited response. Our team trained 186 Officers, and 152 professed new faith in Christ. The local pastors will follow up with them. 3) Sports Coach training: We had with us an incredibly talented couple who are professional athletes and athletic trainers. You may see one of them in the next winter Olympics This was a new outreach for Global Surge, so we helped them do some pioneering. One day they worked with the Global Surge Tough Guys ministry. Tough Guys is a Martial Arts outreach to mainly kids who live on the streets. The Tough Guys coaches are all part of Global Surge ministry. The head of it is a national champion level karate MMA athlete himself. They invited heads of local Karate clubs who are not Christians to come. Our team did a great job of sharing not only their expertise in training stronger, faster, better athletes, and good nutrition, but they shared their story of how they came to Christ. Later they did another seminar with the Hoop Heaven coaches. Basketball is HUGE there. They shared great info and demonstrated how to help their teams do even better. They shared their spiritual story with about 70 Hoop Heaven and Martial Arts coaches. 4) Construction: The Floodway is a high concentration of extreme poverty. Global Surge has churches there. In one church building they sponsor a Feeding Program for children as well as church for the largely young population. They asked us to help fix a damaged roof and replace a broken floor. Our team jumped in to do heavy labor. In 95+ degree heat, they did a phenomenal job. And the new floor looks great. It will be much better space for this church to do its ministry. They were so grateful. We also got to visit the pastor of the church we helped incubate and also to see the Kids Jam street ministry outreach that goes out in local communities to reach kids and families. Were we tired? YES. Would we go back, absolutely, and plan to. Maybe you’ll join us. All skill levels, just willing hearts needed. 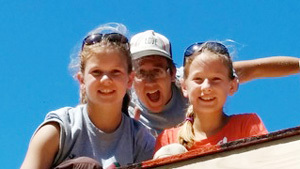 I attended the Mexico Caravan Missions trip in June of 2014 with my two oldest daughters, Maggie and Joey. I thought this would be a great way for us all to learn the importance of missions and extending a helping hand to those in need, and also hoped it would be useful in building a good work ethic in the kids. It not only met both of those hopes, but went way beyond as God had much more in store for us. On the trip, whenever you weren’t working on houses, sleeping or eating, you were hearing the Bible preached by inspiring people, spending time in personal devotion with God, and worshiping or spending time in fellowship with other believers. These times, coupled with the time spent building houses, grew such a closeness to God that they have inspired us to regularly share the gospel back home and make our home a truly Christ-centered home. A home where our focus is living with Christ not just as the stated priority, but as the one who really guides how we live and spend our time. This has flowed down to our 5 kids and is bearing fruit in all areas of our lives and relationships. The emphasis at Caravan Missions-spreading the Gospel as we are clearly commanded to do in scripture, is so clearly preached that you cannot walk away without a long lasting desire to truly fulfill the Great Commission. It has turned our family into life-long disciple makers! 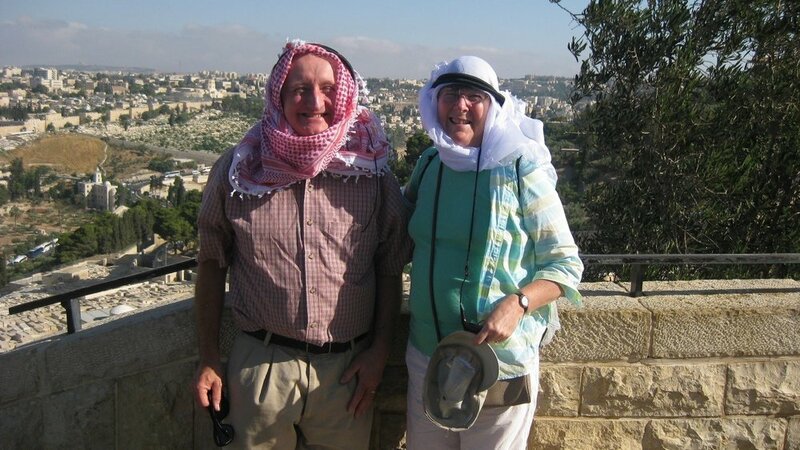 In 2011 my wife Carolyn and I were on the team for the first Back to Jerusalem (B2J) missions trip. Because of the success of that trip and the desire of SCC to reach out to the Palestinian Arab peoples we were asked to lead a second team in 2013. Our first trip was an amazing experience giving us the opportunity to visit some of the places where Jesus walked (Reading God’s Word will never be the same!). However, even more significant was the opportunity to worship, pray and serve alongside the “living stones”; our Arab brothers and sisters in Christ. 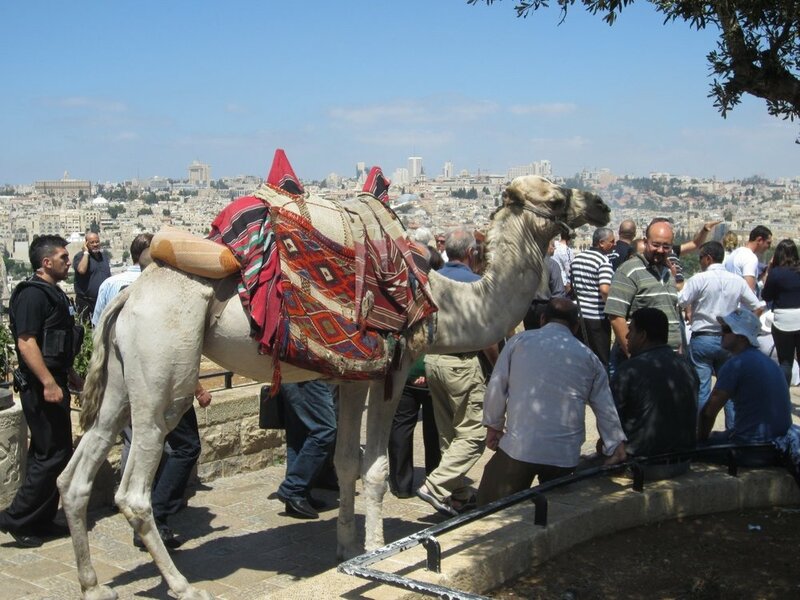 Back to Jerusalem (B2J) is a movement which has grown out of a vision by Arab Christians who are praying for the day when the Gospel will return with power and anointing by the Holy Spirit to all the people of the land. But they are doing much more than praying about it, they are actively involved in sharing the gospel message among their peoples. The 2013 B2J team consisted of seven of us: Fred and Carolyn Marcinek, John and Pam Overstreet, Henry and Linda Groeneveld and Judy Fosdick. Although our trip was not to take place until June we started our preparation in February with regular monthly team meetings to pray for B2J, learn about the culture and customs, language, Muslim faith, etc. We also learned how to share our stories/how to witness for Christ. By the time June came we were excited, prepared and ready to go. The eleven days we spent in Israel were unforgettable. We came to bless the Arab peoples and yet time and again we came away blessed by them and what God had allowed us to experience. 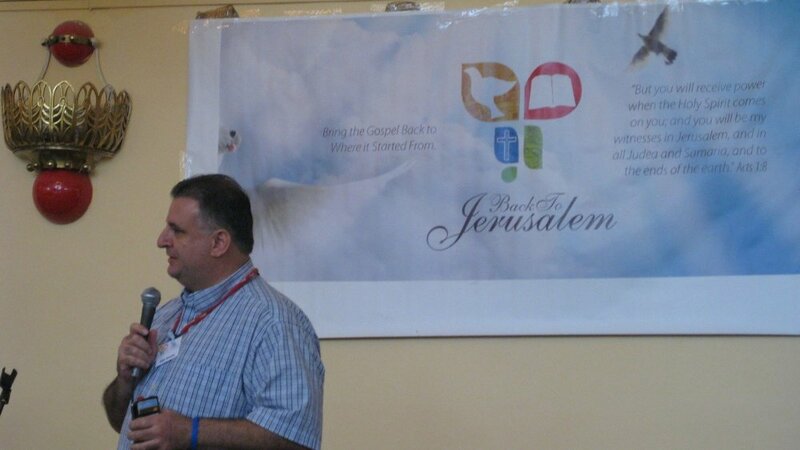 Attending the B2J Conference, hearing from gifted Bible speakers, serving with Christians from other nations, working alongside Arab pastors in their home towns (such as Haifa and Nazareth) all gave us a deeper sense of God’s mission to reach all peoples and drew us closer to the Lord, each other and to the Israeli believers. We all came away with a renewed sense of urgency purpose relative to Christ’s Great Commission (Matthew 28:19-20). Yep, it was hot, 110° in the shade, and likely mid 120°s in the sun. But it was amazing! We’ll never be the same. Galmi Hospital is a bright light for Christ in a place filled with unimaginable needs. Tropical diseases, Polio, grinding poverty in a mostly Muslim nation where subsistence living is the norm. But Galmi Hospital brings hope and the love of Christ. It’s a 120 bed hospital and growing. Our team went to serve the hospital, to assemble and distribute some of the 500 wheelchairs SCC had purchased, and to do whatever we could to serve the long term missionaries and medical workers. The team assembled over 110 wheelchairs. Then Dr. Zoolkoski led team members and reps from the hospital to pre-arranged distributions to handicapped people in the region, by connections through the local pastors and government health authorities. We hired a truck, loaded it with 30-40 chairs at a time, drove to local cities to their health clinics/hospitals and put pre-screened adults and children into a wheelchair of their very own. Galmi Hospital’s Occupational Therapist, Deb, taught them proper use of the chair. This process not only helped the individuals, it also informed local people of the identity of the local Christian Pastor where they can go in time of need. Plus, it built rapport with Nigerian medical and local political leaders of the towns and demonstrated Christ’s compassion to those who can’t walk. Mayors, Village Chiefs and other local leaders were invited to the distributions. They made speeches and thanked Galmi Hospital and us. But the most impactful moment was seeing people on the ground being lifted into wheelchairs. We will never forget their gratitude. In addition to the wheelchair work, Pat and Janna (RN’s) served with patient care and in teaching Nigerien nurses. Dr. Haft consulted on cardiology cases, taught a seminar, and saw patients in the Out Patient Department. Lauren made regular visits to the malnutrition rehabilitation center to encourage the moms. Elaine served Sharilyn Fuller (Teacher) and the medical mission staff children by helping at the Galmi Day School. Katie, our amazing team cook, also spent time in the dental clinic assessing equipment needs and helping prepare the way for future clinic improvements. Richard, Michele, Rick, Gordon, Elaine and Lauren focused on wheelchairs. Several team members also worked in the Pharmacy. Another special project involved school desks. Galmi has three government-run primary schools and one middle school. At the middle school (over 500 students), many of the children sat on rocks without a desk to write on; some sat on the dirt floor. The team worked long hours to construct and paint new desks to give students a place to sit and write. The day we delivered the desks was one of the high points of the trip and happened to coincided with the first rainstorm of the year. When the teachers, students and headmaster saw the desks arriving in the rain, there was dancing around the school flagpole and they all said what a double blessing they were receiving from God. On Sunday evening the team led the missionary community in worship and the Word. We have so many stories. And we hope you enjoy the pictures.